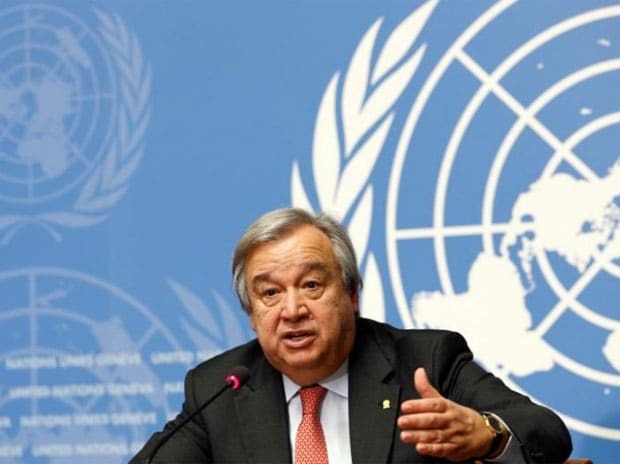 UN Secretary-General Antonio Guterres has voiced concern over the ongoing political crisis in Sri Lanka, urging President Maithripala Sirisena to revert to parliamentary procedures and allow Parliament to vote "as soon as possible". The political turmoil began after Sirisena sacked prime minister Ranil Wickremesinghe and installed former strongman Mahinda Rajapaksa in his place in a dramatic turn of events last week. The UN chief spoke to Sirisena over phone on November 1 and informed him that he was following the latest developments in the island country with concern, his office here said on Friday. Guterres "offered assistance in facilitating a dialogue with all the parties to resolve the situation," it said. He highlighted the Sri Lankan government's responsibility to ensure peace, security and respect for the rule of law. "The Secretary-General urged the President to revert to parliamentary procedures and allow Parliament to vote as soon as possible. "He encouraged the government to uphold its earlier commitments to human rights, justice and reconciliation, in line with Human Rights Council resolutions," the readout said. Amid the ongoing political tension, Resident Coordinator of the UN in Sri Lanka Hanaa Singer has met Sirisena and Parliament Speaker Karu Jayasuriya, delivering Guterres' message for the need to respect democratic values and constitutional provisions. On Friday, Jayasuriya said Sirisena has agreed to summon Parliament on November 7. There was confusion since Thursday on the date when the parliamentary deadlock would end as Sirisena had suspended the sittings until November 16. Sirisena, after replacing Wickremesinghe with Rajapaksa, had suspended Parliament after the sacked premier sought an emergency session to prove his majority. Wickremesinghe has refused to accept his dismissal, claiming to be the country's legitimate premier. He argues that he cannot legally be removed until he loses the support of Parliament. A lawmaker from the main Tamil party defected to the Rajapaksa side and was made a minister on Friday. Rajapaksa claims he now has enough numbers to prove his majority and at least five of Wickremasinghe's men have defected to his side.